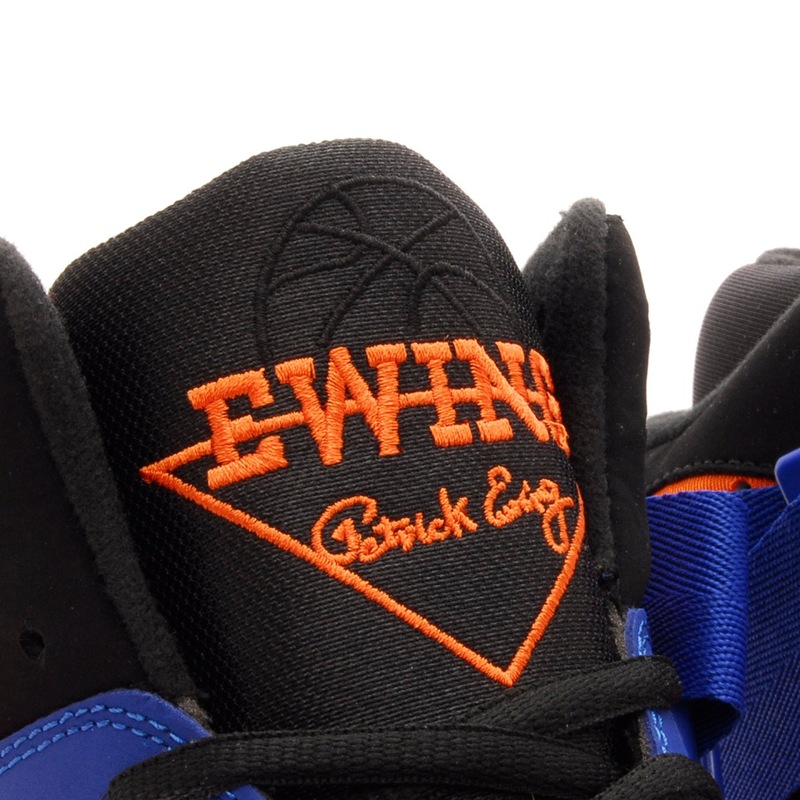 A detailed look at the new Ewing Focus "Playoffs" colorway, releasing this weekend at select retailers. 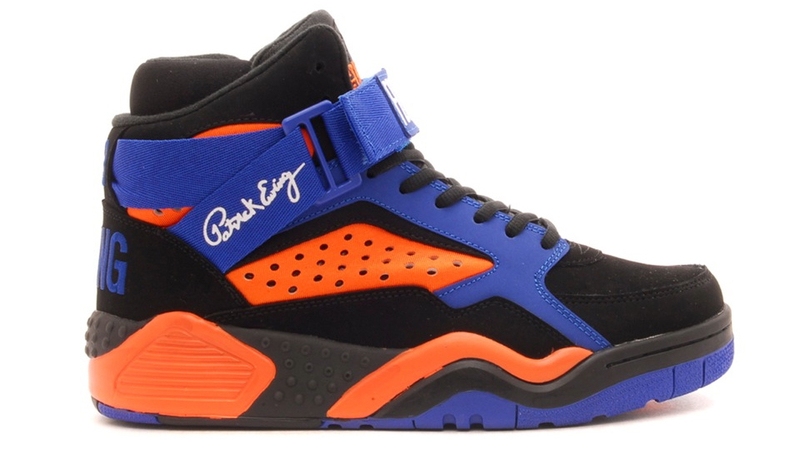 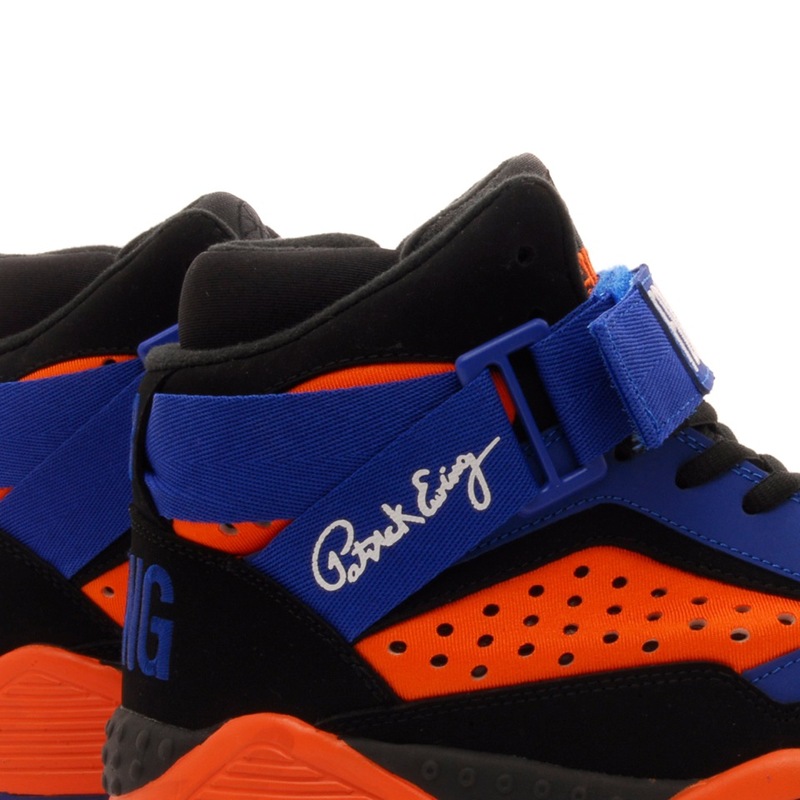 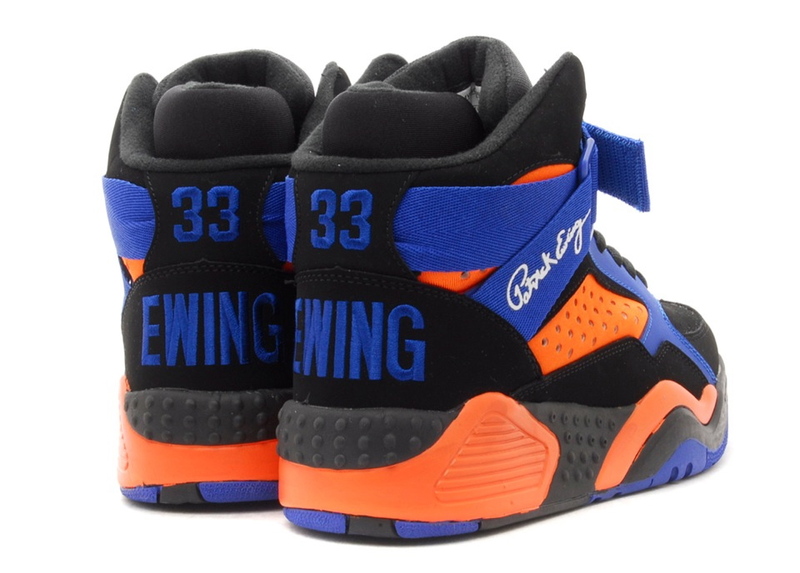 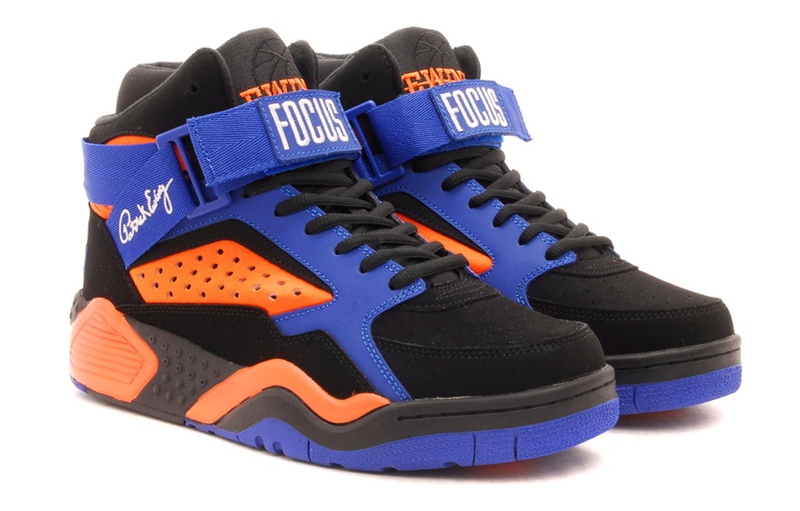 Ewing Athletics continues its new Focus releases with the Black / Orange / Blue "Playoffs" colorway, dropping this weekend at select retailers. 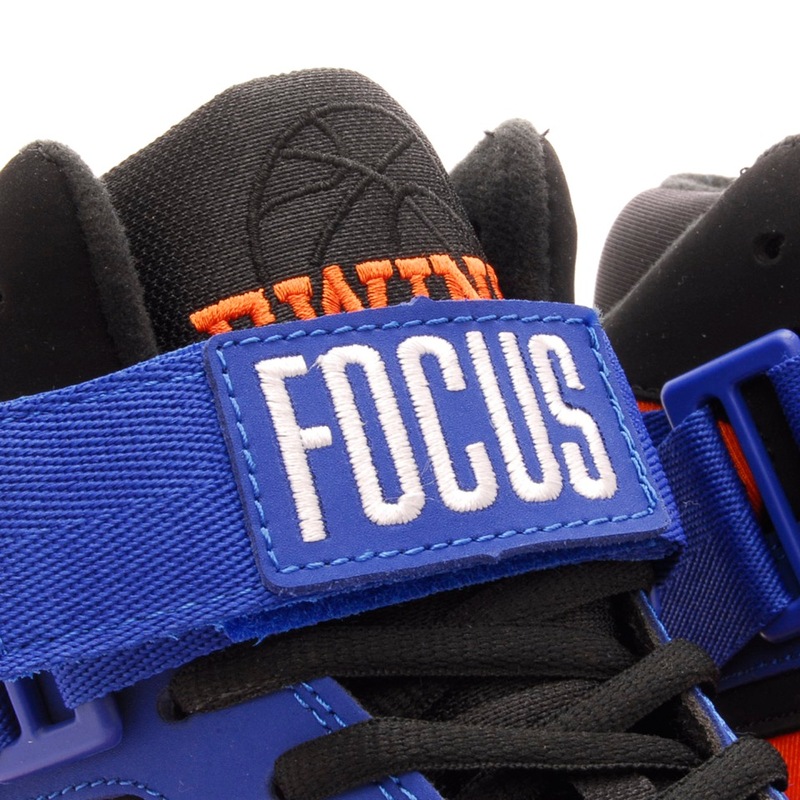 Originally worn by Patrick Ewing during the 1993 playoffs, this retro hoops shoe features a nubuck and neoprene upper, reinforced by the model's signature "FOCUS" ankle strap.